"This is a nice fruity smoothie that I threw together the other day and thought I would share it." 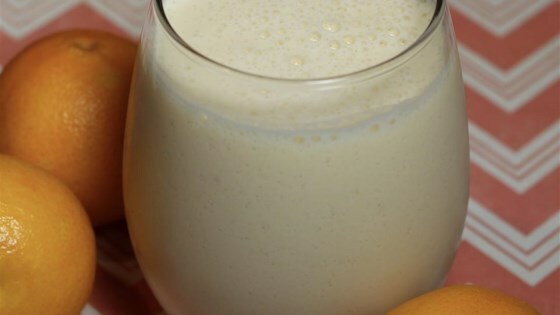 Layer orange, banana, ice cubes, honey, and ginger in the blender; top with yogurt. Blend until smooth. Delicious! I added pineapple juice, stevia, ground flax and chia. The ginger and orange make a great combination. This tasted great! I added some cinnamon and it tasted delish!